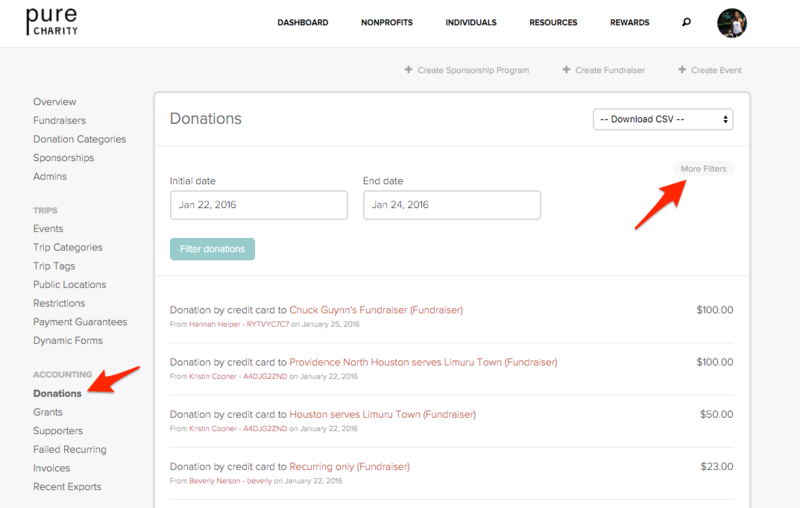 How To: Download donor information for all fundraisers for a specific trip? 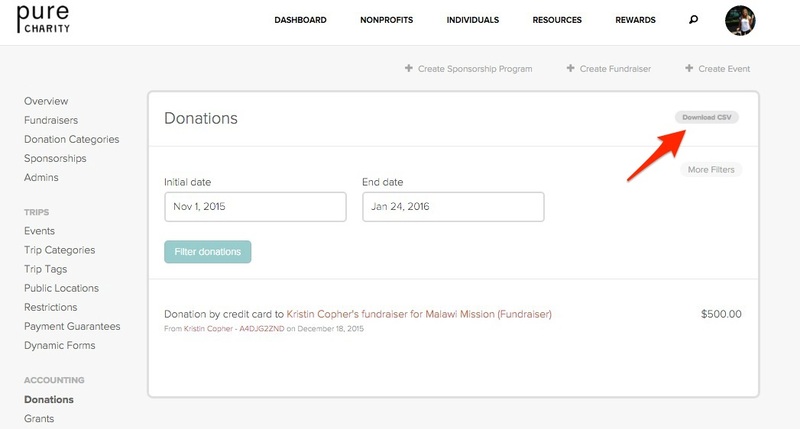 From your field partner dashboard, you are able to pull a donation CSV for all fundraisers pertaining to a specific trip. To pull this report, your Trip will need to have a Trip ID. This ID is required when creating your trip, and you can find it in the parenthesis located under the Trip name. To download your donation report for this trip, follow the instructions below. Step Two: Select the correct date range. Input the Trip ID in the Fundraiser field. 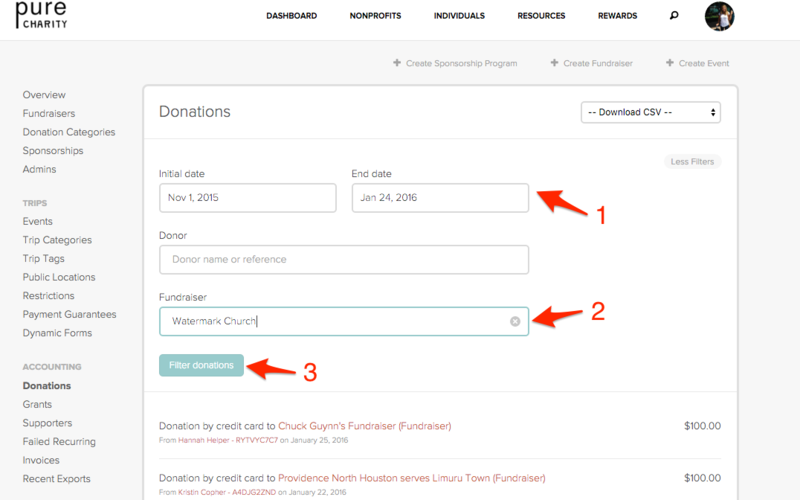 Click Filter donations.